Steading Holidays is a small, family-run business run from our home, The Steading, in the small crofting community of Kilchoan, Scotland. Having lived here since 1980 we are still amazed and inspired by the beauty of Ardnamurchan and have a wealth of local knowledge which we love to share. 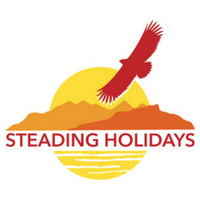 Steading Holidays was started in 1978 by my mother, Pamela Campbell. We know all of the properties very well and we can find the best cottage to suit your needs. Please view our properties, and contact us if you have any questions about your Ardnamurchan self catering holiday.